The technology is known as Contour Crafting. We first saw this on MSN.com. 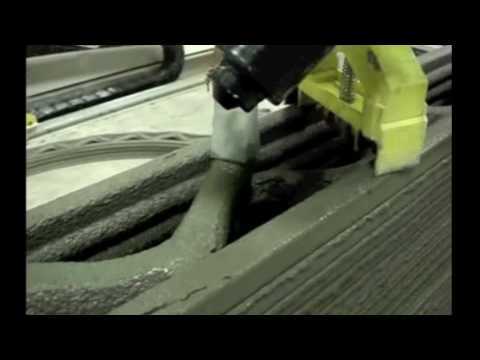 The technology, known as Contour Crafting, could completely revolutionize the construction industry. Discover Magazine’s Brad Lemley explains that workers would lay down two rails for the robot to operate on. From there, the Contour Crafting system would glide along the rails and lay down cement. Once that part of the process is finished, humans would do the rest of essential tasks like hanging doors and installing windows. Contour Crafting could also reduce the total cost of owning a home. It could also make it easier to repair homes damaged by devastating weather events. While this project is still being tested, Khoshnevis asserts that this won’t eliminate jobs in this sector, but actually create more. Check out the video below to learn how this process works.